Plato was an ancient philosopher from Athens, Greece. As a student of Socrates and a teacher of Aristotle, he was able to lay the foundation for what we now know as modern day philosophy teachings. In addition, his contributions as a writer were years before his time and he explored many different subjects. A lack of historical resources has made it difficult to pinpoint the exact date and place of Plato’s birth. Historians estimate that he was born into prominence between 429 and 423 BC. It is reported that Plato’s father was of royal lineage and famous Athenian aristocracy. Plato’s early years were filled with education. He was instructed in the arts, grammar, and music by the best instructors in Athens. Through his courses in philosophy, he was able to meet Socrates, the Greek philosopher. Socrates was such an influence on Plato that he vowed to forever question virtue and how to maintain great character. Plato’s relationship with the famous philosopher was cut short after Socrates was executed in 399 BC. His death was part of the fall of Athens during the war with Sparta. This event was the main catalyst in Plato turning to a life of philosophy and writing. Following the execution of Socrates, Plato traveled throughout the Mediterranean for a little over ten years. While on his travels, he studied different mathematical concepts, geometry, geology and religion. During this time, many of his famous writings were completed and his philosophical thoughts recorded. This includes The Apology of Socrates, which is said to have been written during Plato’s early period. During Plato’s second or middle period, he wrote mainly in the first person. He explored the concepts of courage, justice, and an individual’s place in society. He wrote The Republic as an exercise in how kings could rule using a fair government. The last stage of Plato’s travels, or his third period, saw Plato come into his own thoughts. He began to truly express his own metaphysical ideas regarding the arts, architecture, and morality. The term “Platonism” was created by scholars and refers to the consequences of denying the reality of the material world. His writings during this period relied less on the teachings of Socrates. In the Theory of Forms, he introduced the concept of ideas being our only constant while our perspective of the world through our senses is always changing and deceptive. 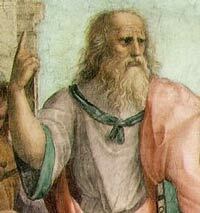 Plato was the founder of the Academy in Athens which he started around 385 BC. It was his vision to create a place for students to discover how to build a just government in Greece. This school of higher learning operated until 529 AD when it was shut down by Justinian I, a Roman emperor. The emperor was fearful that the school of thought and academia was spreading the ideas of paganism and was against Christianity. Plato spent the majority of his later years overseeing the Academy and writing. It is said that he died in Athens around 348 BC, but the cause is unknown. Plato’s contributions to the way in which we see the world are invaluable. His belief in the importance of mathematics and in the building of a fair and just government stretched far beyond the Mediterranean. The basis of modern democracy is owed largely to Plato’s use of reason and his philosophy on the nature of humans.